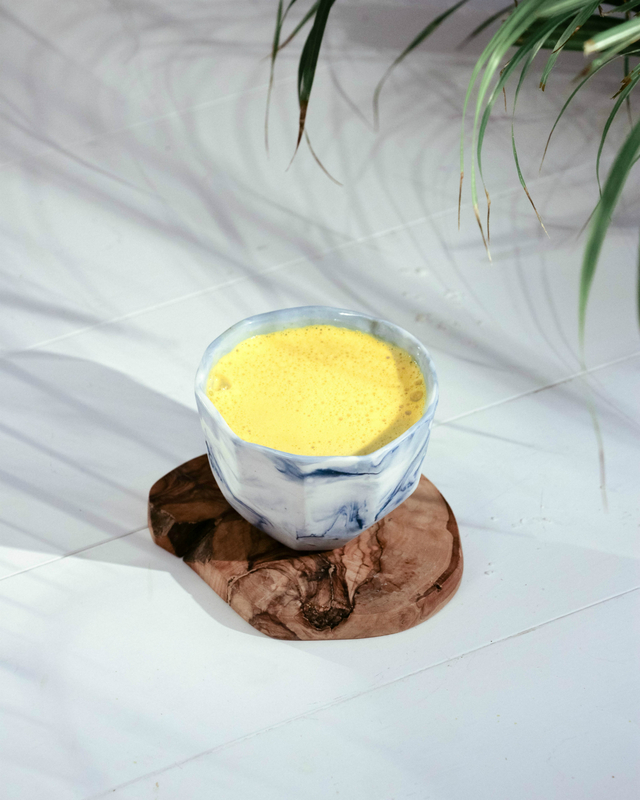 All year, I’ve tasted turmeric tonics, teas, and golden milk lattes from NYC to Miami to California. It’s definitely falls under the honorable list of beverages with benefits. I feel amazing after a few sips of a turmeric-based elixir. 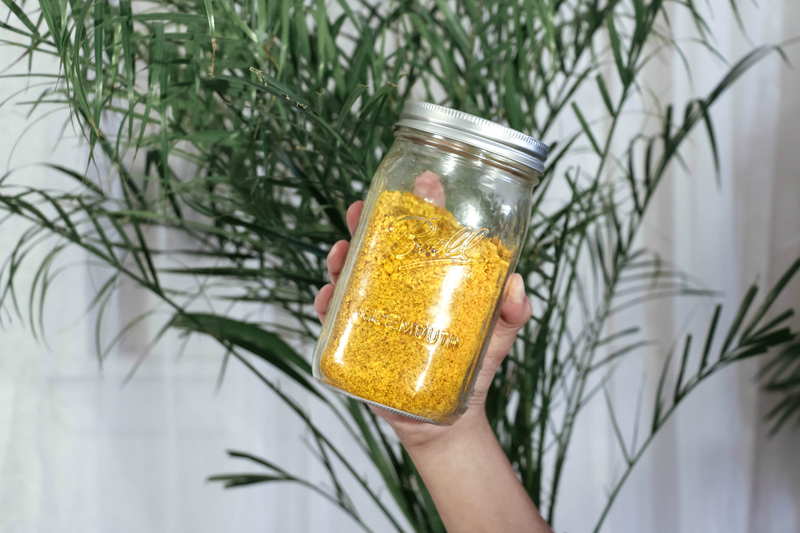 It gives me so much energy, in part thanks to all the antioxidants found in turmeric and its active ingredient curcumin, which has incredible anti-inflammatory properties. There’s really no downside to drinking turmeric, apart from staining your clothes, blender, kitchen counter, cat’s paws and basically anything it touches. I love to start and end my days with drinks that give me a boost. For that reason, I’ve taught myself how to make fresh golden concoctions right at home using the root of fresh turmeric also known as a rhizome. Ideally I’d like to drink it everyday, but when things get super duper busy and I’m pressed for time I go for days without drinking my daily dose of healing turmeric. So if you’re a generally busy gal like me with a million things to do everyday, this is your go to 30-day supply mix. Yep, a whole month worth of healing goodness to take anywhere with you while traveling or in your office space! Seriously, it’s just perfect and instant, because all you need is water to activate it! Just like instant coffee minus the caffeine and all the jitters that come with it and without sacrificing the brain-boosting alert effects. Hi! 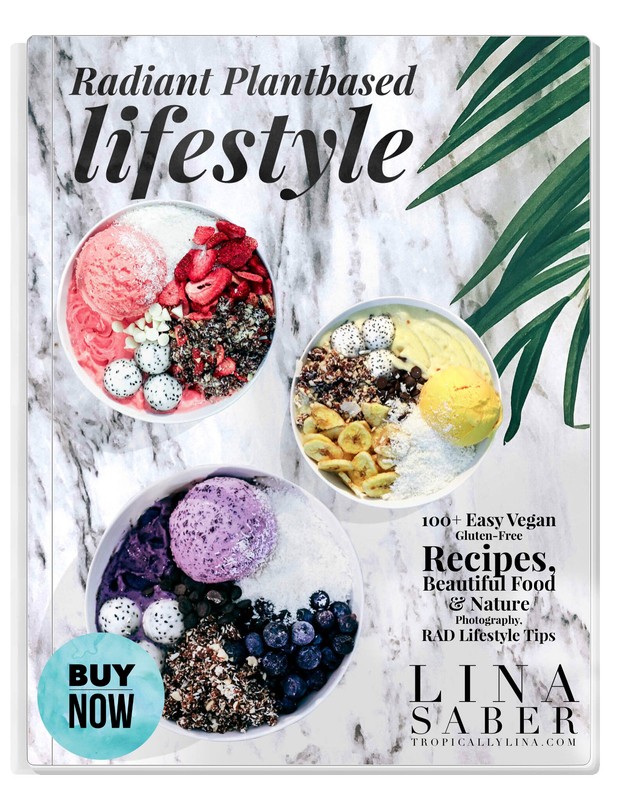 Welcome to Tropically Lina, a place where all my work, plant-based lifestyle and gluten-free recipes live! 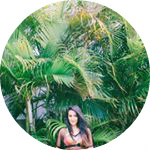 I love creating and editing content that's out of the box but ultimately promotes a balanced healthy lifestyle! Eating this way has changed my life and I'm here to share it with you!